I’ve just found out that Sardar Ali Takkar, one of the most beautiful, most important musicians of all time, will be performing at the Nobel Prize Award Ceremony tomorrow, December 10th; Malala Yousafzai personally invited him to sing this song along with the unofficial national anthem of the Pukhtuns–Ay Zama Watana (I know, I know – it bothers me, too, that it’s basically all men in this song as though the Pukhtun nation(s) belong to men alone or as though they alone have built it. I’ll deal with this issue another time). This post is about the song he will be singing, one that’s very close to my heart and that brings me peace and hope every time I hear it–and I hear it a lot. It’s called Ta Bibi Shirina Ye, sung and composed by Sardar Ali Takkar, written by Behroz Khan, and dedicated to Malala Yousafzai and all other Pashtun girls. I’m going to explain something before translating these words because they mean more than just “you’re a sweet lady” – it actual has no translation because it’s a concept. There’s what I’d like to identify as a concept of “Bibi Shirina” in Pashto and Pashto music. It’s appeared in at least three Pashto songs that I know, and it’s done beautifully in each one. I’ll briefly touch on the first two but focus on the last one, but for now, just know that bibi in Pashto (and some other languages) means “lady”; it’s a respectable term for “woman”–e.g, out of respect for a woman one doesn’t know, one addresses her as “Bibi.” And shirin is I think a Persian word for “sweet” but, it’s better in Pashto/Urdu/Persian than in English! In other words, bibi shirin together makes perfect sense in Pashto than it does in English. Now for the Bibi Shirin songs. Song #1 – called “Bibi Shireene” and is a love song performed by Zeek Afridi (I love his voice). The Bibi Shirina is the female beloved to whom the song is sung and the poetry is dedicated; Bibi Shirina is being praised, compared to a yellow rose, and the (male) lover is begging her to love him back. The song is very popular among Pashtuns, and you can say there’s no Pashtun, at least in Pakistan, who hasn’t heard the song yet or wouldn’t understand and appreciate the Bibi Shirin reference in Takkar’s latest song. Since Youtube is still banned in Pakistan (lolzuna @ you, Pakistan; you’re so lousy, grow up, bruh), here’s a link to a non-Youtube form of the song. And, also, here’s a fun children’s dance to the song to melt your heart. Not sure what’s going on in the video below, but the guy’s singing the same song, and it looks like he’s in some music competition program. Bottom line: it’s a popular song! In Song #2, below, the Bibi Shirina is every Pashtun woman, whose hard work, whose contributions, go unrecognized and unheard of, and who is deprived of some of her most basic human rights. The song is sung by Gulzar Alam, another important Pashto musician, and is picturized by Samar Minallah. An important note about this Gulzar Alam and Samar Minallah version of the song – I’ll do a separate analysis of this song another time, but for now, know this important fact about it: It challenges the stereotypical image of the Pashtun woman as someone’s beloved, which is what the version above does. That is to say, this song pays a tribute to the Pashtun woman’s unrecognized, unappreciated social and economic contributions to society. From what I understand from my conversations with Samar Minallah about the song and her production of it, it was a risk to pick up a romantic song and turn it into a tribute to ordinary rural Pukhtun women. But more on this some other time. Appreciate the song for now! The reference here to the “Bibi Shirina” (“ta bibi shirina ye, ta bibi shirina ye”) should, I hope, be now more clear. It’s more than “Hey, you sweet lady!” It’s the Pashtun woman. The song is for all Pashtun women and girls and their right to education and learning. “Fulfilling the capacity of mother, wife, sister and daughter, you incarnate love by all.” Uh, no. I’ve contacted the poet (Behroz) for clarification, but I know him and his views on women, and I know with full certainty that he would never write something in which he ties a woman’s value to her relations with others, especially with men and most especially patriarchal relations. Even literally, though, that first line should be translated as: “Whether you’re a mother, a wife, a sister, or a daughter, you’re love” (or, whatever, the incarnation of love, etc.). There’s nothing about her role as a mother or a sister or a daughter or wife. A woman is a woman and she’s valuable regardless of her relations with others, especially men. 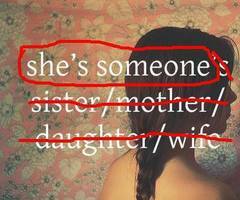 Let’s stop identifying women in relation to others. I’m gonna paste the full translation (with modification – more modification to come later as I hear back from the poet to translate this more appropriately). O Pakhtun sweetheart, learning is your right. Allow her to learn and she will help your country thrive. That said, it’s such a beautiful thing to know that a Pashto singer will be honoring the world during this international award ceremony! God bless this man and his family, God bless Malala and her family, and God bless Behroz and his family! This entry was posted in Death to patriarchy, gender, I can't believe this needs to be said out loud, Music, Pashto, Pashtuns and tagged Pashtun women. Bookmark the permalink. 18 Responses to Who is the Bibi Shirina in Sardar Ali Takkar’s new song, “Ta Bibi Shirina Ye”? I appreciate this comprehensive analysis. But I would suggest to embed videos other than youtube as it’s banned here in Pakistan. Thanks for your comment and suggestion, Aslam! I did try to embed non-Youtube ones (like DailyMotion), but it wouldn’t get embedded properly. I’ll provide links for Pakistani readers, though. Thank you for the reminder! Beautiful songs . Sardar Ali Takkar is my favorite singer. p.s. just read your intro. get married in london and your wish of rain on ur wedding day and 364 days after that will be fulfilled. Jo sakh … da zrra zor me kedeshi che der zyat yi kho daa kha khabara da, kha. I’ll consider your London suggestion, although I was thinking I’ll just plan my wedding day around a rainy day instead of having to fly off to a different country for it … kho sakh. Orbaala, do you love qawwali? I love it very much, am a big fan of Nusrat Fateh Ali Khan, Abida Parveen, the Sabri Brothers, Faiz ali Faiz etc. And love almost all North-Indian genres. I am learning Pashto and I’d like to study with the latter video as well. I found this while searching for the translation of Bebe Shireen song. Its a lovely melody.